As age gaps widen between children, the Sit n Stand stroller is proving to be a popular stroller option. These strollers have the benefit of being able to let sleeping babies rest and keep fussy toddlers happy and secure all in the one stroller. This is a guide to finding the best Sit N Stand stroller in 2017. We have listed these below. 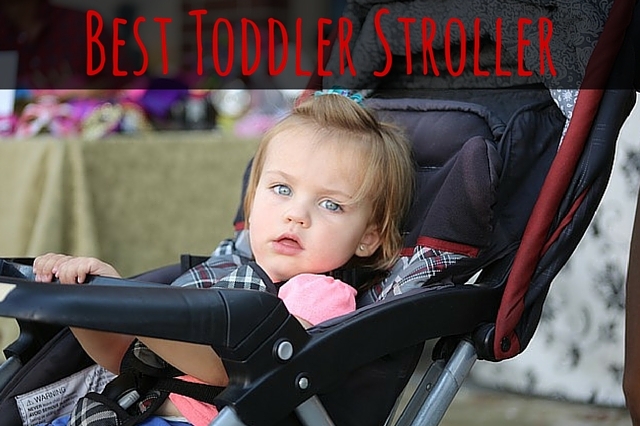 Followed by this is a review, where we help you to find the best sit and stand double stroller. 2.1 What is a sit and stand stroller stroller? 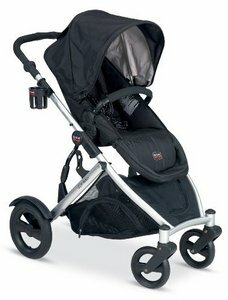 2.2 What to look for in a Sit and Stand stroller? 2.3 What are the Pros and Cons of a Sit and Stand Stroller? 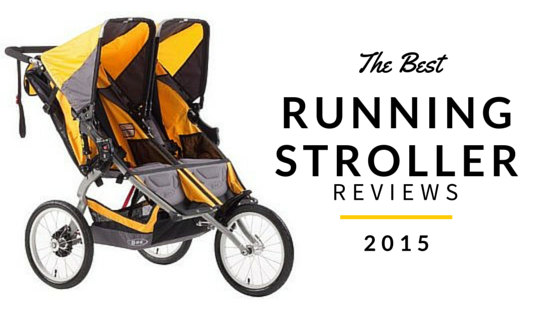 Looking for the best sit and stand stroller? The chart below will help you compare all the best ones. Simply look at whichever criteria is the most important to you. The weight capacity is per seat. What is a sit and stand stroller stroller? Sit and Stand strollers are designed for 2 children, and as their name suggests, allow space for a child to either stand or sit (which is ideal for older children that are keen to move) and room for another child (usually an infant) to sit/lay. This can often take the form of a carseat, or normal seat. The standing option is great for older children as it allows them to retain their independence by standing and not always having to be strapped down. This can make trips out much easier to bare for both children and you. 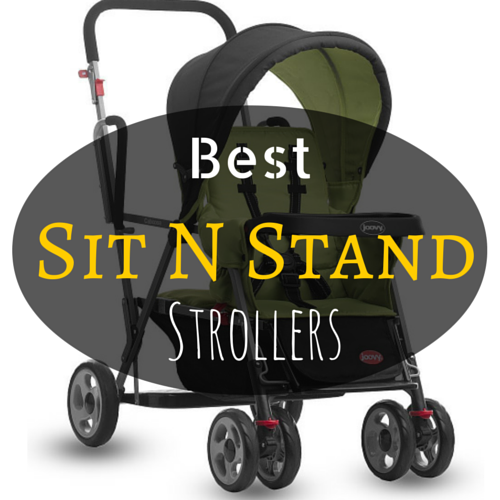 Sit & Stand strollers have the advantage of being lightweight and narrow for what they offer. 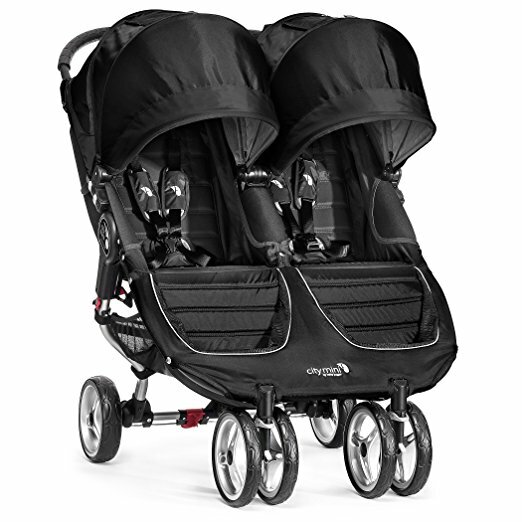 They also tend to be a great price relative to standard double strollers. What to look for in a Sit and Stand stroller? The obvious things to look for include a sturdy design, fabric that is easy enough to clean and withstand spills, and any extras you that you may need like a cup holder or storage basket. However, for the ultimate use and comfort we recommend that some things on your list are essential. 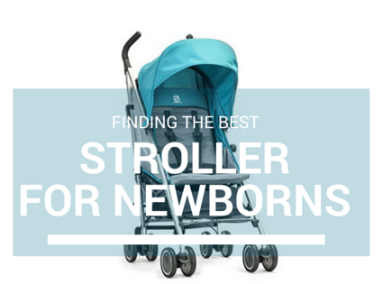 We recommend that you look mainly for those strollers that have a capacity for a combined weight of over 70lb children to ensure you get good use out of the stroller, and that it is strong. The best sit and stand double strollers will have capacity for this. We also believe it is essential for older children to have a 3 point strap for times when they tire of standing and require a seat to rest. We also recommend that you ensure that the bench seat is padded for comfort. Any other extras are up to you. What are the Pros and Cons of a Sit and Stand Stroller? The major advantage of Sit and Stand strollers is that they can suit families that have children with a bit of an age gap. Sit and Stand strollers are also relatively lightweight and compact. They also generally come with a decent sized storage basket and cup holders. 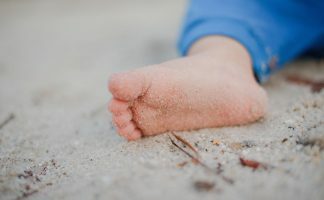 They also have the major advantage of not restricting older children and mean that children of walking age can easily get out and walk when they prefer, and have a place to rest when they get tired. However, some common complaints in regards to these strollers include the fact that sit and stand strollers are not designed for rough terrain. They are only really suitable for everyday activities around town, due to their lightweight design and generally small wheels which are made to maximize space. The rear seat of the stroller can also use up a lot of space in the back, so if you have a child that will be spending a fair amount of time here you may want to consider this and look in to those strollers that have frontward infant seats. The Graco Room For 2 Classic Connect and Click Connect Stand and Ride Stroller is at the top of our list of Sit and Stand stroller reviews. This is truly a great, rather sporty looking stroller with a lot going for it. The first thing you will notice is how lightweight this stroller is. This is the lightest stroller in our list, and this really makes a different with its ease of use. 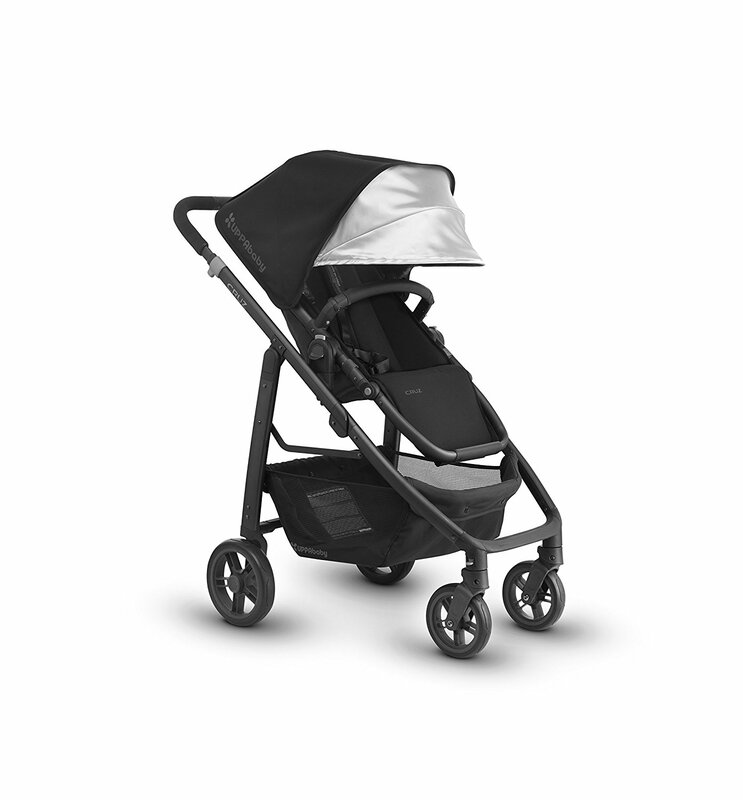 The stroller also features the common Graco one hand fold, meaning storage is made very simple. The wheels feature added suspension, with the front wheels being lockable. This is a real plus for a Sit and Stand stroller, as added control can often be required. The seats of the Graco RoomFor2 both feature harnesses; the front seat has a choice of either a 3 or 5 point harness for use by both younger and older children, and the rear seat features a 3 point harness for older children. The rear seat is also padded for comfort, and the front seat fully reclines. Both seats have a capacity for up to 50lb each, which is a real advantage and means the stroller is useable for many years, but also mean that this stroller can also be used by those children closer in age. Extra features of the stroller include a large basket, a storage tray for parents and 2 cup holders. It is also easy cleaned as the seat material is machine washable. The Graco RoomFor2 is a very reasonable, currently priced at only $130. The Graco Room For 2 is real contender for the best Sit N Stand double stroller on the market. The second stroller in our Sit N Stand stroller reviews is the Joovy Caboose (cool name too) Stand on Tandem Stroller. 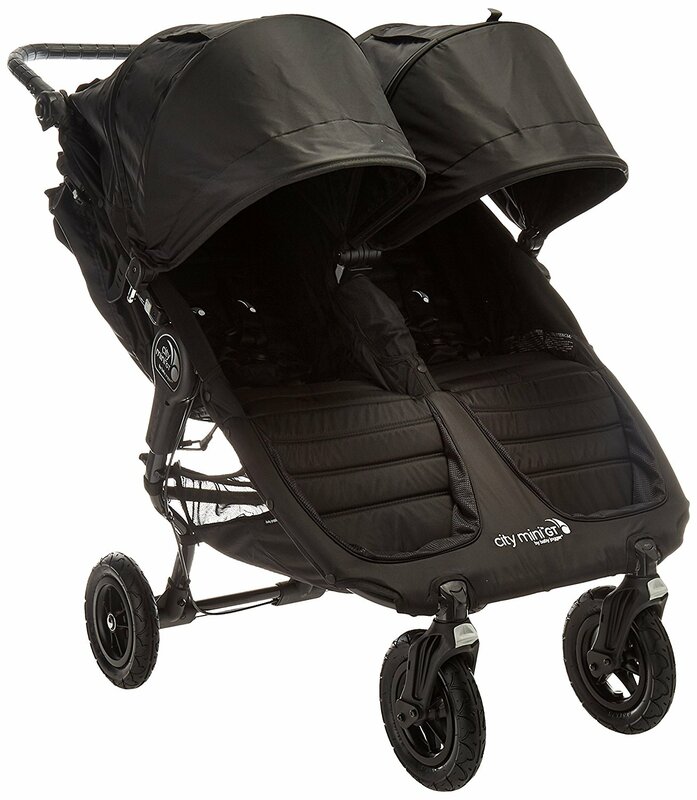 This stroller is based closely on a similarly designed tandem stroller. This stroller is one of the most compact sit and stand strollers available, and is very easily maneuverable. This is party achieved by its great design and its low weight of just 27.9lb. The front seat of the Joovy Caboose features a universal car seat attachment. This great feature means the stroller can be connected to by many widely used car seats, and become a travel system too. It also means you can feel secure placing babies from birth in it. The rear seat includes a 3 point harness and a strong platform. The rear seat is not just a padded bench, but an actual seat. This means that it is also comfortable enough for sleep. Each seat has a maximum weight capacity of 45lb each seat weight. This is less than others available, but still provides plenty of room for growth. Extras features of this stroller include a large storage basket, a tray for your child and 2 cup holders. 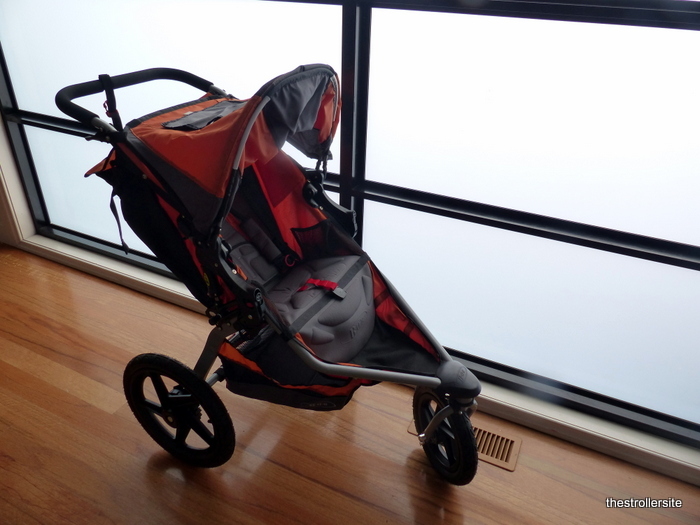 The stroller also features a large canopy. Due to their nature of the backseat and the universal car seat attachment, this stroller is more suitable for children with a wider gap in age. 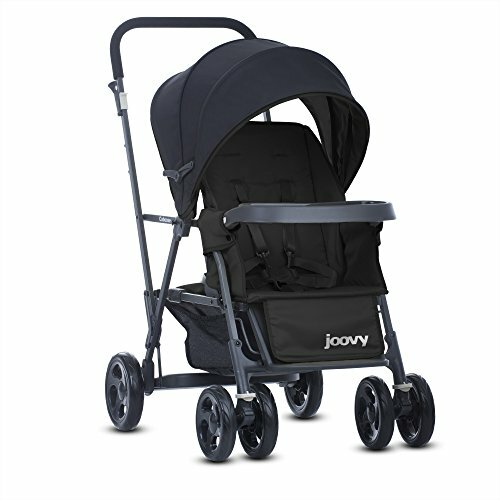 The Joovy Caboose is a more expensive option than others, but as we’ve mentioned also includes some things that people would consider necessities that other brands just don’t have. The versatility of this stroller justifies this price, and it simply makes life easier. Read more reviews and check out the latest prices here. 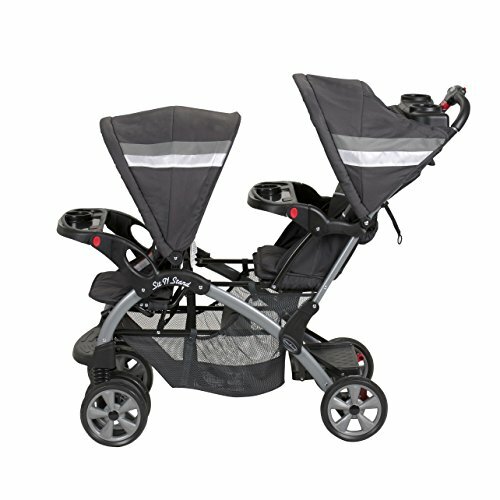 The last in our Sit N Stand double stroller reviews is the Baby Stand Sit N Stand Double Stroller. The first thing you will notice is that this stroller is heavier than others, however this works in its favor as it adds to the overall sturdiness of the stroller. 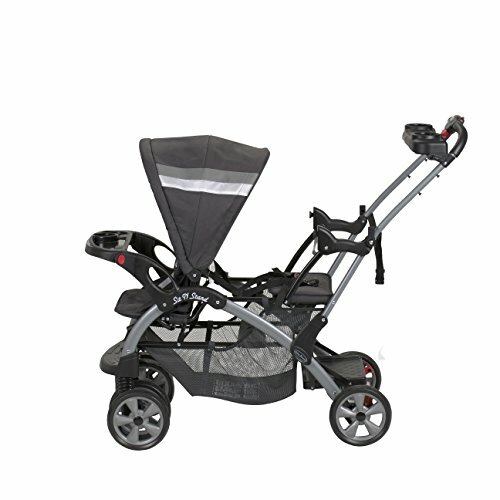 The stroller features larger wheels to battle tougher terrain, is easy fold, has a large storage area and has two separate large canopy’s for each seat. This stroller has the advantage of being able to fit two infant car seats on the one stroller, a real plus for those with two young children. In regards to the actual seats, each seat has a capacity of 50lb each with a 5 point harness for both. The Rear seat is removable and can convert to a more traditional sit and stand stroller. 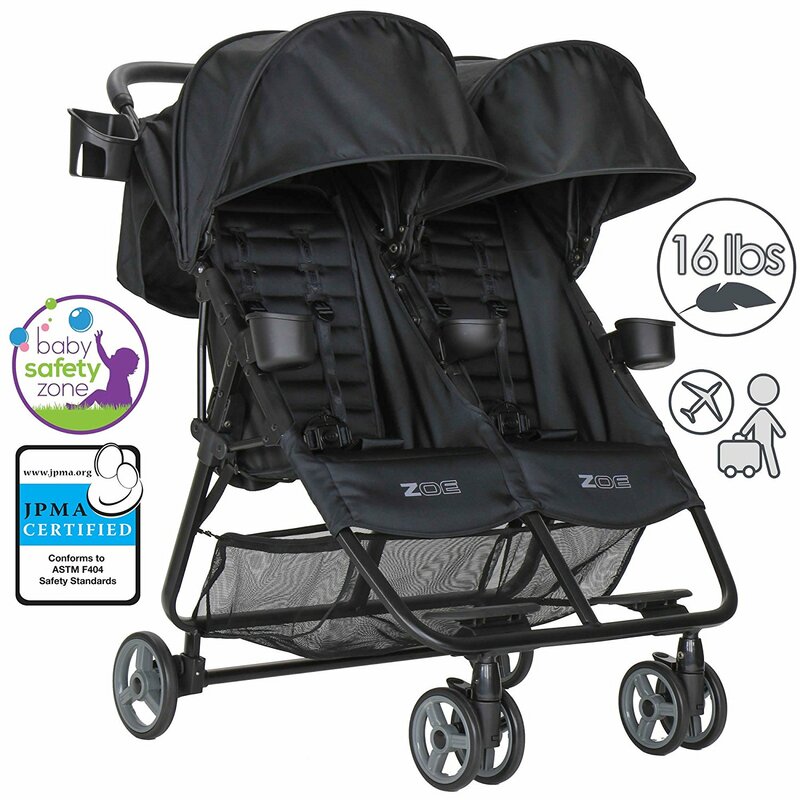 This stroller is not without its extras and includes a tray with 2 cup holders for parents. For children, there is also a storage tray and adjustable cupholders. There is also a large netted basket underneath the stroller for storage. The only real disadvantage of this stroller is that it is not very compact when folded. However, if you have a big enough car to get past this, it presents great value for its price, being a versatile stroller that can battle more than just everyday trips. Still undecided? 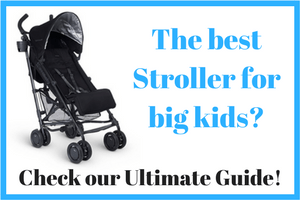 Check out our complete guide to double strollers, or read about tandem or side by side double strollers.